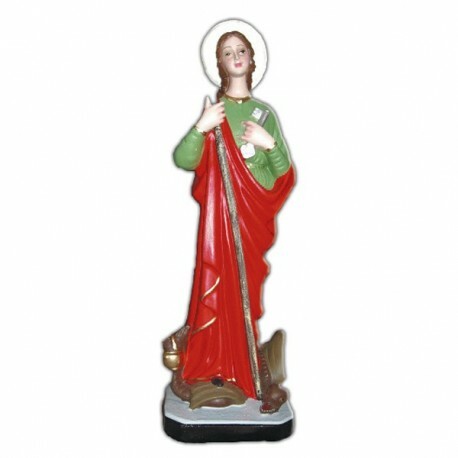 Statue of Saint Martha of 42 cm. 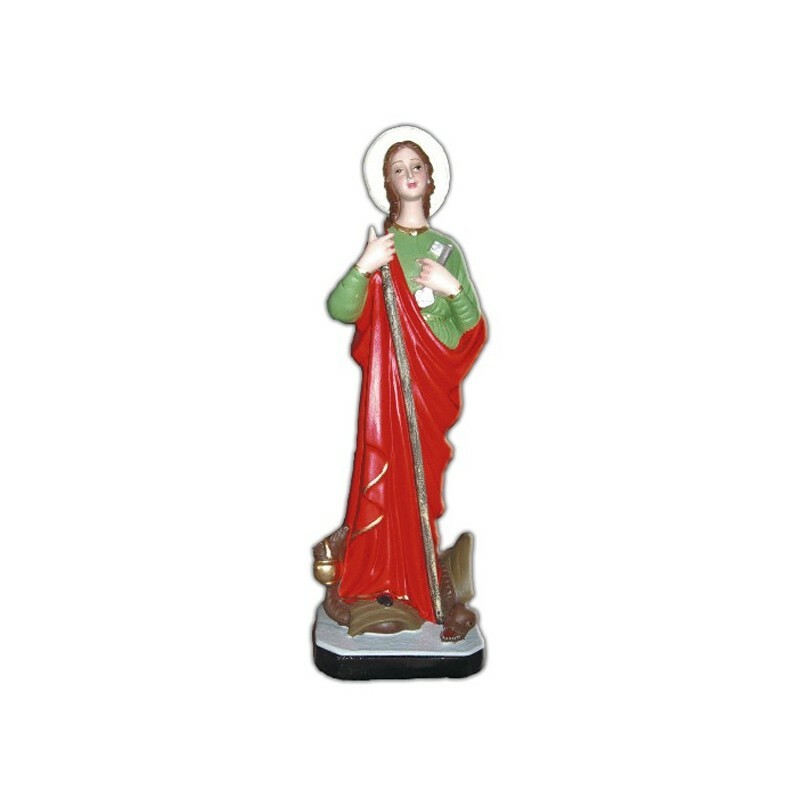 The Virgin Saint Martha is commemorated on the 29th of July. She died around 80. She is the sister of Saint Lazaro and of Saint Mary of Bethany. She hosted God in her home in Bethany. She looked after the house ando so she became the patron of the housewives. She is illustrated as a youth with simple clothes, with a key in the hands and a pot.